Presale tickets avaiable now -Limited Tickets available! You are cordially invited to share the experience of a lifetime with your little one at an Enchanted Tea Party with your favorite princesses from RJ's Amazing Entertainment! The Enchanted Princess Tea Party is full of princess interactions! 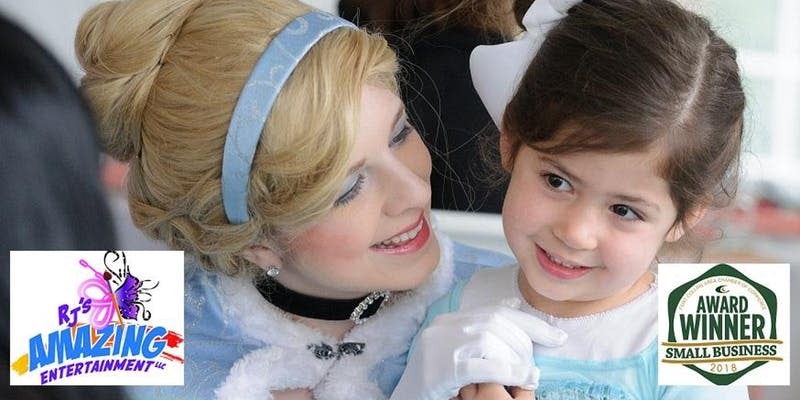 We promise your little ones will have the opportunity to meet each and every princess in attendance. To ensure everyone gets all the photos and hugs they need, the first 20 minutes of the tea party are dedicated to loves and hugs, so no one feels like they need to rush! !